THE INKEY LIST’s aim is simple: break through beauty jargon to deliver a straightforward take on skin care’s most-wanted ingredients (at astoundingly reasonable, ‘give-it-a-go’ prices). Enriched with AHAs (alpha hydroxy acids) found naturally in food and plants – including sugar cane, lemon and orange – this super serum gently exfoliates, removing dead, dulling skin cells to reveal the soft, smooth radiance beneath. Increasing cell renewal, the formula also helps to minimise dark spots and battle blemishes – it even stars hyaluronic acid to keep things hydrated too. Phew! 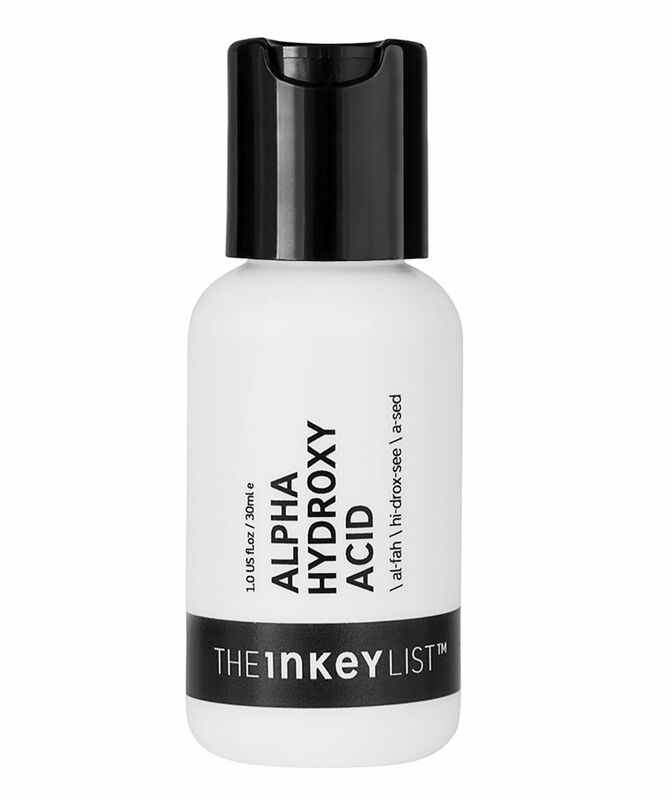 For smoother, softer, more even skin, with pores minimised and blemishes battled, look no further than THE INKEY LIST’s all-star wonder: Alpha Hydroxy Acid Serum. This serum stars 10% AHAs derived from natural sources such as food and plants – including bilberry, lemon and orange extracts and sugar cane extract – and gently exfoliates skin to leave it supremely soft and smooth. How, you might well ask? AHAs work by gently ‘ungluing’ the dead skin cells that stay of your complexion’s surface, which can make it appear dull and make pores appear larger, giving the appearance of an uneven skin tone. Get rid of these unnecessary cells and you’re left with the brighter, clearer, more even sin underneath. 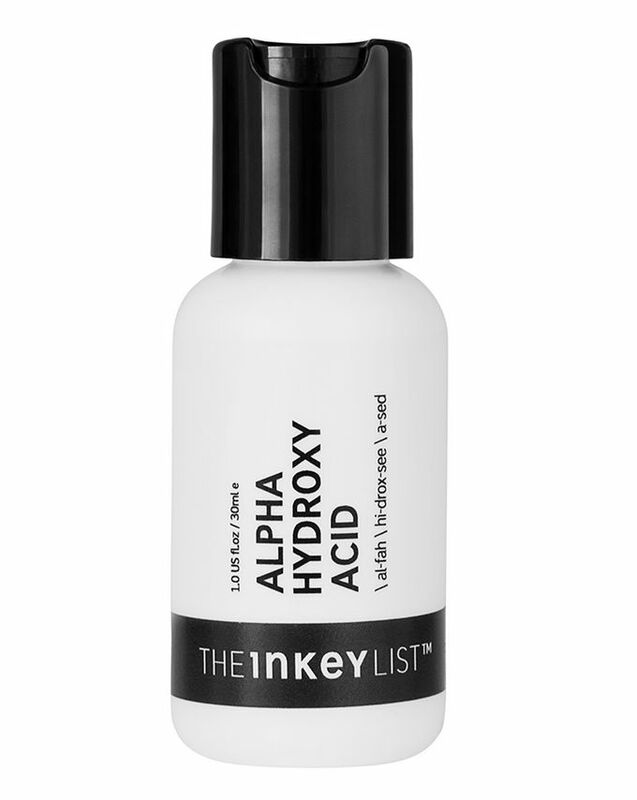 Alpha Hydroxy Acid Serum also increases cell turnover, addressing blemishes and dark spots. To minimise irritation and keep skin hydrated, the formula also contains 1% hyaluronic acid – ingenious. This does wonders to my skin. After a short period of use I can't say anything about dark spots but impurities have vanished. I would absolutely recommend this! I love an AHA formulation and use products from PTR, Disciple and The Ordinary which I enjoy. Was super excited about trying this because the price is so good and the ingredients list sounds fab. The texture is a watery gel and smells a bit like vinegar but these products often do so that’s fine. I cleansed as usual and applied the serum but when I woke up this morning my face had lines I didn’t even knew existed! I aged about 7 years over night. Also, weirdly my face was quite hairy! OMG I know it sounds weird but it’s true. Anyway, not sure what happened here with this product but definitely didn’t work for me unfortunately. I have been using this for around 2 weeks and my skin feels incredible. My fine lines are looking smoother and my entire skin in general is looking brighter and feeling softer. I feel young again! - I can't say I've noticed my face being hairy at all. Would recommend 100% and for the price you have to give it a go.